Pregnancy is one of the few times in our lives when we need an increased amount of protein. 70-80 grams to be exact. Getting those grams from clean sources during pregnancy can be difficult. Particularly for those of us who have already decreased our total amount of animal protein consumption, and are not body building or an avid athlete. Prior to pregnancy, my diet was almost entirely plant based. I would consume about 50 grams of protein a day. Which for my height and weight was all that I needed. In fact, I believe the Standard American Diet encourages more protein than our bodies need. What happens when you eat excess protein? It gets converted to glucose and then stored as fat in the body. This is why the ketogenic diet, which is high in fat, has become so popular lately. 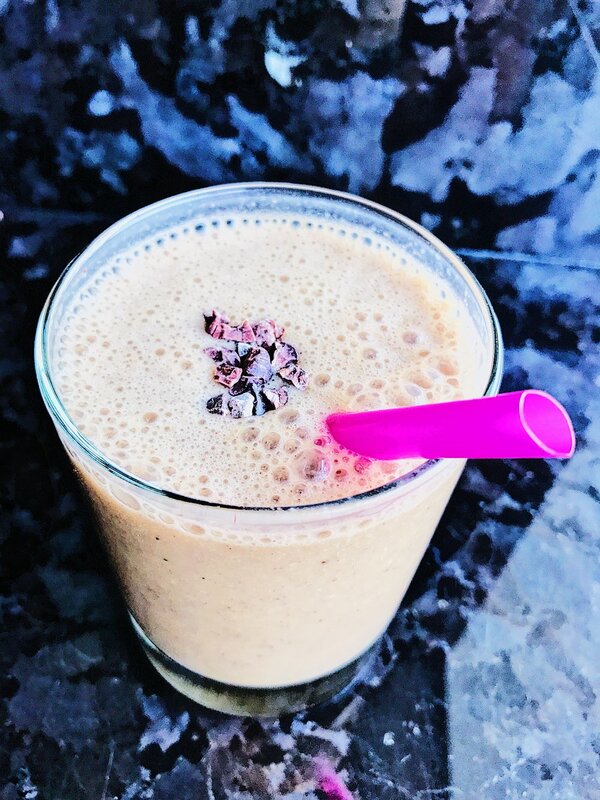 In order to ensure I was getting good quality protein to make up the 70 grams I needed for a healthy pregnancy, I start my day with The FastBeets Protein Shake. Its a delicious way to start the day and it ensures between 15-30 grams of protein in my very first meal of the day. Aside from the protein, I love that I get to fill it with other quality ingredients that feed my baby with vitamins, minerals, naturally occurring folate, and Omega3s. All of which contribute to the healthy development of this baby boy I’m growing. The FastBeets Protein Shakes are all comprised of the same basic structure. Depending on what mood I’m in that morning, I’ll make some adjustments to the fruit/flavor combinations, but the basics, which are detailed below, always stay the same. Protein Powder: A quality plant based protein powder. These days I’m loving the Garden of Life brand both for the taste and the quality of ingredients. Or Vital Proteins brand collagen protein to avoid stretch marks. A banana is another must, which when I’m not pregnant I tend to omit, but I find that it helps with the morning starvation feeling and provides potassium, which helps ward away leg cramps. Calcium-enriched Cashew or Almond Milk. I could make my own plant-based milk, but during pregnancy I’ve been sticking to a clean store-bought brand that is full of calcium, which my baby and I need to grow strong bones. Carrots for the Beta-Carotine or Vitamin A. Most prenatal vitamins skip the Vitamin A because excess vitamin A (like 5000mg or more) can cause birth defects. However moderate amounts like whats in a carrot or two are actually beneficial to you and your growing baby. Kale. Kale doesn’t really need an introduction to smoothies. Besides the obvious reasons to adding quality greens like kale to your FastBeets Protein Shake, its also a great source of folate which is essential in pregnancy. Most prenatal vitamins use folic acid which is a synthetic form of folate. I say, why not add some natural sources in there too. Chia seeds are a wonderful source of protein, fiber, and essential omega3 fatty acids. Omega 3 fatty acids not only help your brain function, but they are crucial in growing a smart baby. And let’s be real, that’s a goal for all of us. In addition, the chia seeds make your smoothie thicker and the healthy fats keeps you fuller for longer. Cocoa nibs. Not only do these make your smoothie taste like chocolate chips and satisfy that chocolate craving, but its a great source of minerals like magnesium. Any pregnant woman can attest to mood swings during pregnancy, the magnesium in cacao nibs squashes that too! Celery is a powerful anti-inflammatory and detoxifying food. When you add it to your smoothie you hardly taste it, but it gives you so many benefits for virtually 0 calories. Additional fruit for flavor: Depending on what taste I'm in the mood for that morning, I may just leave it as is with just one banana for taste. Other mornings I'll opt for frozen organic wild blueberries, frozen organic strawberries, pineapple, frozen organic peaches, or unsweetened organic frozen acai. 1-2 scoops protein powder of choice. Optional: 1/4 cup frozen organic blueberries, strawberries, pineapple, peaches, acai or other frozen fruit of choice. I have a love/hate relationship with juicing. On the one hand, its great for providing you with ready to be absorbed nutrition. Since the fiber is taken out, you have so many vitamins and minerals from the fruits and veggies that don’t have to fight your digestion in order to be used. But on the other hand, without all the fiber to slow down your digestion, the sugar in juices also gets rapidly absorbed and what once was healthy and nutritious becomes a sugar laden drink, that's making us fat. Not cool. Think about it like this: It would be quite difficult and time consuming for you to eat 4 apples in one sitting. If I juice them, however, it can take you not even 30 seconds to drink it down without an issue. The problem with that is you’re getting so much sugar. Fruit was designed by nature with fiber to slow down the sugar consumption. It is a disservice to strip it away. I still drink juices from time to time, but I never add fruits to it. I’ll get a combination of green veggies like spinach, kale, celery, cucumber, lemon and ginger. These provide you will so many easy to absorb vitamins without the added sugar hazards of high in fructose fruits without their fiber intact. The other approach that is gaining more traction in health food stores are blended fruit/veggie smoothies. When you blend all of the veggies you get to have all the fiber. And guess what? Fiber is so good for you! In fact, most Americans fall short of their daily recommended amount of daily fiber intake. Just like with the juices, I still warn against too much fruit consumption in smoothies. Just because its in a health food store or a healthy juice shop doesn't mean that all of the fruit is good for you. Fruit is something we need to consume in moderation. I love how these juice and smoothie bars are popping up everywhere these days, but I caution you to think about how the ingredients in each drink will serve you and its okay to tell your juicing barista to use less fruit. Although our society is driven in large part by the now of things, getting natural energy is often overlooked in place of stimulants like caffeine that get the job done fast and quickly. The problem with caffeine is that your energy will come crashing down as fast as it went up. In addition, too much caffeine can bring about adrenal fatigue. ACV is practically a cure all. Think of it like the windex from "My Big Fat Greek Wedding". It boosts your immune system, helps you lose weight, makes your body more alkaline, can clear up your skin, and help detoxify your body. Amongst all its benefits, my favorite for it is a quick energy boost. ACV will cut through fatigue like a knife! Its not going to give you the stimulated caffeine high, but it really breaks down and removes fatigue. Try one tablespoon in a glass of water. Most people are low in Vitamin D. This not only helps fatigue but helps with the blues too. I'm supposed to tell you to go outside and expose your body (specifically your belly if you can!) to direct sunlight without sunscreen for 15 minutes every day. But its FREEZING this winter! So i'm going to tell you to take a supplement. You can start off taking two pills for a couple days to increase your load but taper down to one a day since Vitamin D is fat soluble you don’t want to over do it either. Speaking of fat soluble. Are you eating enough fats? You're going to need fats in your diet to absorb the fat soluble vitamins (Vitamins D, E, A, & K). So add some avocado or flax seed oil to your next salad. Low iron will almost always cause fatigue. Clean sources of iron include kale, spinach and apples. Make yourself a green smoothie of kale or spinach with apple every day and watch your iron levels soar. Include lemon juice or a handful of strawberries in your green smoothies because your body needs vitamin C to absorb the iron. If smoothies aren’t your thing, steam spinach and top with lemon juice and himalayan salt. The food you eat plays a big role in your day to day and hour to hour energy levels. Eliminate processed foods. Processed foods are amongst the biggest culprits of energy depleters and give your body zero nutrition. Instead fill up on veggies which will restore your health and provide you much needed vitamins and minerals. When your tired, sometimes the last think you want to do is exercise. But you'll feel so much better after you do. You'll see a difference in your energy after 15 minutes but by all means workout for as long as you want. A great workout on those tired days to boost energy: Set your treadmill at an incline of 7 or 8 and speed walk at a speed of about 3.5. Your heart rate will go up and after 15-20 minutes you'll have more energy to last you throughout your day. Do you eat a lot of sugar or carbohydrates? Having too much sugar or carbs will cause blood sugar and insulin spike. Likewise you'll also experience blood sugar crashes which cause fatigue. Cutting back on sugar and carbs will give you a steady state of energy all day. Read a book from an actual book instead of a kindle. You can try a couple of yoga moves that will relax your body (Check out Strala Yoga online for quick moves). Sip on your favorite caffeine free tea. Drink up. Dehydration causes headaches, hunger, and fatigue. If you've overdosed on coffee because you were tired, drink more water. The coffee can leave dehydrated causing even more fatigue than before you had the coffee. Cheers for an Intentionally Rebellious 2016! An intention to be present in our day to day rather than expect to get presents. An intention to follow our gut instincts rather than cave to societal pressures. An intention to allow our dreams to take flight rather than sit on the sidelines. And intention to not take life too seriously. When it comes to your health, stress is probably the worst of all evils. Living a naturally healthy life is about listening to your own gut instincts and being aware of your body. Diets as a generality kinda blow. By being so strict they can cause more stress, which will actually make you gain more weight (thank you cortisol!). And we haven’t even yet discussed the binging that can happen when you go on a strict diet. 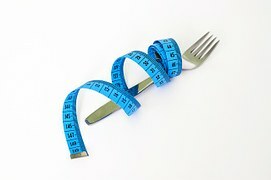 Programs that promise you will lose weight quickly, will work temporarily. But going extreme in one direction will inevitably leave you to yo-yo in the other extreme direction soon after. We’re a balanced species, so give yourself a balanced lifestyle all day, everyday. If you’re a FastBeets follower, you know by now that I follow a mostly plant based diet. It works for me. I get energy from it, clearer & glowing skin, a boosted immune system, more nutrients, got rid of my dark under eye circles, and more. So why give a good thing up? While the health benefits I’ve gained astound me, I realize that I have to tap in to my body and see what I need and what my body cues are telling me and if that means have a non plant based meal, who cares? I’m not going to lose all the benefits I’ve gained from a plant based diet in one meal. Just like having one bite of cake won't give you 15 extra pounds. You need moderation and to trusting your own instincts. In fact, by listening to my body, I’m actually going to vastly benefit my health. As a person who chooses to eat plants, I usually plan ahead. At home if I’m going to a non-plant friendly dinner, ill make sure to eat enough protein during the day and enjoy a side dish turned main course of nutrient rich plants for dinner. If I’m travelling, I’ll bring plant friendly protein snacks, because you never know. This past week, I forgot my protein snacks at home, when I left for Miami…….argh. Being vegan in Japan was a no brainer. Every restaurant had ample options. In Miami this past week, that was not the case. Miami was girls trip. My girlfriends and I dined at some of the best restaurants. Unfortunately, plant based protein wasn’t a common option. So I got veggies. Some of the yummiest veggies, might I add. But veggies none the less. While having zucchini for dinner works well (it was a bikini week, so real well), it doesn’t work when protein was noticeably absent from your breakfasts and lunches for the past 6 days. On day 6, after subsisting on bowls of hummus, I developed a headache. I was doing a disservice to myself if I continued to eat veggies and hummus and not enough protein. I listened to my body’s cravings for protein and I ordered a plate of eggs and rice. Headache went bye-bye. (Protein deficiency is a real thing, if you are vegan, or contemplating going veg, listen to your body's cues and make sure veg options are available in your lifestyle). Whether you're vegan, vegetarian, paleo, sugar-free, gluten-free, low-carb, or even just cake-free, respect yourself enough to feed yourself what you need. Listen to your body, it will never steer you wrong. Sometimes you gotta just look your diet straight in the face and say buzz off. Enjoy your healthy life. Don’t sweat the small stuff. And rebel every once in a while, its all good for you. Now pass the cake and the champagne. It’s all in the name of health! As the holidays approach, I advise my clients not to get the best of the holidays without letting the holidays get the best of you! Trying to undo thanksgiving is going to be a whole lot harder than keeping the holiday under control. I advise my clients to eat a balanced breakfast the day of the holiday. Even though most Thanksgiving dinners start in the earlier part of the day, getting your breakfast in can be a huge calorie saver. By eating a solid breakfast you curb your hunger and won’t wind up overeating during the holiday meal. A great breakfast includes whole grains filled with fiber to sustain your energy and keep you full. A perfect thanksgiving breakfast thats super easy and quick to make are FastBeet's Pumpkin Breakfast Bars They are filled with oat bran, which contains a high source of soluble fiber and insoluble fiber. Plus, they happen to taste like thanksgiving. These keep well, so you can make them in a jiffy the night before or the morning of. Since you’re already making them, make extra and bring them to your holiday meal as a healthy dessert option. Your host will thank you! When its time for the thanksgiving meal, taste everything that looks appealing to you. I always advise against deprivation because it always leads to binging later. It is after all thanksgiving. But, you don’t actually need to make a whole plate of stuffing and brisket. Have a little bit, but reserve the majority of your plate for the veggies. One of the best and healthiest parts of thanksgiving are all the wonderful veggie sides. Reverse the food groups, fill up on the healthier veggie sides and treat the more decadent food choices as the side dish. Its a win-win. You get to eat everything, without sacrificing your waist line. As for dessert, start with a warm cup of tea. The warm tea will give you the sensation that you are full and curbs dessert appetite. Should you still wish for an indulgence, have a bite, you don’t need a whole serving to yourself. If you should want something more, enjoy the healthy Pumpkin Bars you made. FastBeets was featured in an article on Livestrong.com on this topic. To see Shaina Simhaee's quotes on Livestrong, click here. There are so many wonderful benefits to working out in the morning and specifically first thing in the morning. When you do just 20 minutes of cardio before you’ve eaten anything, you burn straight fat. And who doesn’t want to burn straight fat? Even if you’d prefer to do a proper workout after breakfast, you’ll get an energy boost that will last all day and you won’t have to worry about trying to fit the workout in after work when your social life sets in. So herein lies the problem. How do you get yourself to actually make it to the gym in the morning when your snooze button is the most attractive thing in sight? I’ve found that being prepared is half the battle. I tell clients to have their workout clothes ready to go when they first get up. Ideally on your nightstand works best. The other option is just wearing your workout clothes to bed, so when you’re up, you’re almost ready. If coffee is a must, going to Starbucks can be a deterrent to get you to the gym. Make coffee at home instead. Even better - have the coffee waiting for you in the fridge so there is no preparation. For a more natural energy boost without any calories, try adding a little bit of apple cider vinegar to a glass of water. This wakes you up and boosts your metabolism. If you’re having breakfast in the morning prior to working out, keep the breakfast simple. Prepare overnight oats the night before, have hardboiled eggs on hand, or make your smoothie the night before and keep it in your fridge. Whatever your breakfast of choice is, make sure its ready to go first thing in the morning. This prevents distractions from getting in the way of you and the gym. Try making FastBeet’s Goji Berry Blondies or the Pumpkin Breakfast Bars. They are super easy to make, and you can make it once to last you a full week of breakfasts. Lastly, set a goal. It could be a weight loss goal that motivates you, or you want to aim for 4 days a week at the gym. Whatever your goal is keep tallies in your calendar and hold yourself accountable. When it comes to eating healthy, you can't beet, beets! Beets, Glorious Beets. I have a genuine affliction towards the beet. Beets are incredible, and in my opinion under appreciated. Besides being the namesake to this website, they are filled with nutrients to help your heart “beet”. Cheesy, but true. Here are four of the top health reasons why beets should play a bigger role in your diet! Beets have naturally occurring nitric oxide, which acts as a vasodilator in the body. Vasodiliate means that it literally dilates or opens up the blood vessels allowing for increased blood flow. Increased blood flow can enhance your exercise tolerance and endurance by providing more oxygen into your blood. So, next time you’re getting ready to compete in a race, prime yourself with some beets. It will actually help improve your overall athletic ability. But let’s say running a race isn't your thing. Who else could use some more oxygen in their blood or a drop in blood pressure? Millions of Americans, that's who! With heart disease and high blood pressure afflicting a high percentage of Americans, beets can help get the symptoms of the conditions under control. Again, this is because they help deliver oxygen and open up arteries to lower blood pressure. While this doesn’t necessarily mean that you’ll be completely off your meds, but it’s a big step in the right direction. Beet comes from the word “betaine”, which is a nutrient that acts to protect the cells in the body against stressors, and therefore decreases inflammation. Those nitrates we discussed above, by allowing the blood to be more oxygen-rich, they also bring oxygen to your brain. Lack of blood flow to the brain can cause of dementia and alzheimers. 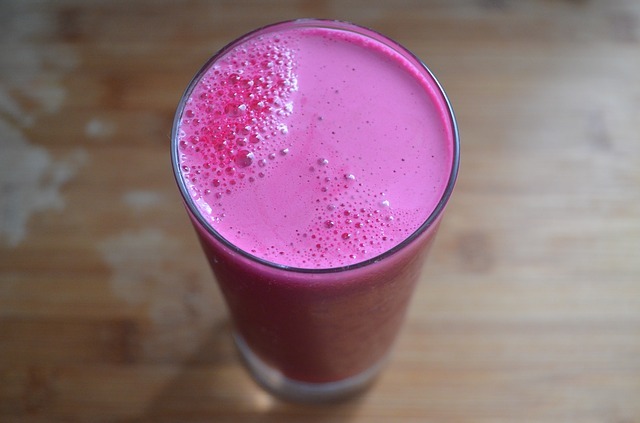 There’s one major side effect with beets and thats the pink hue it can leave in your urine. But fear not. The pink stuff is a reminder that beets were just swimming around in your blood and oxygenating it, spreading love to your cells, and decreasing inflammation in its path. Its a reminder that everything we eat travels through our entire body until it comes out, so with that I say choose what you eat wisely. What kinds of foods would you want hanging out in your blood? Beets work for me. So now that you are wise to the Beets, this thanksgiving, serve your loved ones health. Try the super easy Beetlicious Kale Salad and the Beetlicious Raw Beet Spread to get you started in your quest for nitrates and phytonutrients. This article was first posted in The path. Click here to view it on the path. Whether you are cycling long distance competitions or you just enjoy cardio highs in spin class, focusing on your nutrition before and after your ride will help you ride more efficiently, effectively, recover faster, and if you want – lose weight quicker. Prior to your ride, it is important to feed your body good sources of carbohydrates that will get you through your ride. Good carbs are low glycemic, meaning that your body will take its time to break it down, and in turn slowly release the sugar into your bloodstream. If you’re trying to lose weight or even just trying not to gain weight, you want to make sure your blood sugar doesn’t surge. As a cyclist, you will need the carbs you eat pre-workout to sustain your energy throughout the ride. Low glycemic carbs break down slower and the energy from the carbs make their way into your bloodstream in a slow and steady fashion. You’re going to want this for your ride. The slower the release the longer your stretch of energy will be, and the longer and harder you can cycle. Whole foods like lentils and oatmeal are great to consume pre-workout. As opposed to processed food, which are practically digested for you and become straight sugar once it hits your system, whole foods will keep you energized. A bagel for example, is high glycemic. All of the wheat bran from the bagel has been stripped when it became a white processed piece of bread, making it so easy to digest that it pumps sugar straight into your system upon eating it. For longer, harder rides, stick to low glycemic carbs. The Goji Berry Blondies from FastBeets are quick enough to make the morning of a ride and stay fresh for a week if made in advance. They have all the goodness of low glycemic carbs like oatmeal, plus extra protein and sustaining good fats. It also happens to taste much better than traditional oatmeal. So, if you’re bored by a bowl of hot cereal, try these blondies instead. If you’re a long distance cyclist or you just like to watch your score rise in spin class, you’re going to want a competitive edge. Believe it or not, beets can do this for you. The nitrates in beets pump oxygen into your blood allowing you to go past your last score without expending more energy. To capitalize on this, have a beet juice up to 40 minutes before your workout, or incorporate beets in a salad before your ride. After your ride you will want to fuel back up with food that will nourish you without ruining your workout. You’ll first need to start with a little insight into your ride. How long did you ride for and how tough was your ride? If you rode for 45 min compared to 3 hours, your nutritional requirements will vary. So take note of how you feel and what you will need to feel your best. Everyone’s body is different. But know that generally, calorie intake should be equal or less than calories burned. Post-workout carbs are a subjective to the individuals needs. For example, I know that if I supplement my workouts with high glycemic carbs post-workout, I will recover faster, but I will also gain more weight than if I didn’t workout at all. So know your limit. It's better to start with fewer carbs and work your way until you feel fully recovered. Protein is hugely important post workout. Protein will rebuild your muscles after the ride. This helps in weight loss and in giving you an even better ride next time. So load up on protein within 20 minutes of your ride. For a quick recovery try the Vanilla-Acai Berry Smoothie. It calls for half the quantity of sugars as most smoothies out there, but it should still provide a great post-workout replenishment to get you through the next hour. After your post-workout shower you can sit down for a solid meal. This quick smoothie has the protein for your muscle recovery and the acai berry for the energy recovery. Feel free to add a banana or more berries to speed up your energy recovery. Adjust based on the intensity of your workout. Shaina Simhaee is a certified holistic nutrition consultant and editor of FastBeets.com. She works one-on-one with clients to help them reach their health and wellness goals. Simhaee advises clients to be their healthiest without compromising any part of their decadent lives. FastBeets makes the healthy life attainable to busy people and makes it easy for everyone to be just a little but healthier.